Netflix has tried a lot of new things over the last few years. This has included bad things—like raising prices for consumers—and good things, including creating a slew of new original content for subscribers in areas as varying as dramas, comedies, kids programming, movies, documentaries, stand-up specials and more. Now, the subscription streaming service is trying something new: bidding for programs that are already on the air at other networks. We’ve known for a while now that new episodes of Black Mirror would be hopping from Channel 4 in the UK to Netflix worldwide, but the story behind the change is actually pretty wild. Channel 4 was initially the home of the critically-acclaimed series Black Mirror during its first two seasons, which aired in 2011 and 2013. In 2014, the network then commissioned a Black Mirror Christmas special, which also did well in the UK. It was in 2014 that Netflix caught wind of Black Mirror and acquired the rights to allow U.S. subscribers to access the series, which obviously became a hit in the States, as well. 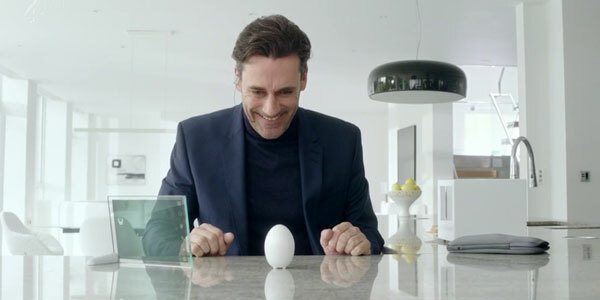 Because the show did so well, it’s only natural that the streaming giant would see Black Mirror as a good fit for its users. The only problem? Channel 4 still wanted to produce more episodes. This fall, we learned that Netflix had actually commissioned a third season of the drama, upping the episode count to 12 and gaining the worldwide rights to the series in the process. But it didn’t come without cost. Netflix is even maintaining the rights to Black Mirror in the U.K., where it will no longer air on Channel 4. THR reports the company that produces Black Mirror, Endemol Shine, is saying it gave Channel 4 the opportunity to commission new episodes first. They are saying Channel 4 didn’t want the episodes, but Channel 4 has protested that’s not what happened at all. Instead, it seems as if Netflix simply may have out-budgeted the UK outlet, could offer more episodes, and could offer worldwide distribution—all pluses. It’s a cloudy situation. Netflix has been a service that has picked up new episodes of shows that have been cancelled on other networks. When AMC ultimately decided The Killing wasn’t the best fit for the network, Netflix picked up the slack. The same happened with Longmire after A&E decided it wanted to go in a different direction with its programming. In that case, Netflix also stepped in and signed on the show. The subscription streaming service has also brought back other famous projects, including Arrested Development and—if you count it—the Full House spinoff Fuller House. But Black Mirror is the first time the company has been able to put up more money to entice a TV series away from its original network. If it’s something the subscription streaming service continues trying, it could be bad news for cable and network channels, everywhere. Sure, a big company might be able to outbid Netflix for a show, but you would think Channel 4 would have had enough clout to do that. The move could say a lot about the future of television rights in an increasingly global world, for sure. We'll let you know if any new information emerges, or if Netflix attempts this sort of deal again. Is Grey's Anatomy Losing One Of Its Hottest Couples As Star Heads To Netflix?